Raleigh Limousine & Party Bus Rentals is one of the most reliable luxury car rental services that can be hired. Our rental service has provided high quality transportation facilities to our clients for several years. Do you need a limo rental Raleigh NC locals depend on? Our aim is to provide our clients with reliable conveyance that is stylish and glamorous at the same time. Hiring our services gives ease of travel and convenience to our customers. Our Raleigh Limo Service is extended to Raleigh, Durham, Chapel Hill, Cary, Apex and Wake Forrest. We can also provide rentals for the surrounding areas of Wake, Durham and Chatham counties. Along with limos and party buses we also offer an elegant Raleigh car service. Our clients can hire our services and feel relaxed about the whole ride. Our expert team is qualified and will provide a good and reliable service to our clients. We are vigilant and time delays are accounted for in advance so that you reach your destination in time. ​We have a large variety of elite cars that you can hire for making special occasions memorable. Our aim is make the journey comfortable and stress free so that our clients can have a good time with their family and friends. If you’re looking for RDU airport transportation then our drivers can be of assistance. We provide our clients with the highest level of airport transportation Raleigh NC has ever seen. Ours cars are regularly checked and scanned so that the appropriate repairs can be made. Our service team regularly cleans the limousine to make it ready for our next clients at the assigned date and time. We provide our clients with one of the best services so that they arrive at their planned events at the appropriate time. Our team is comprised of professional drivers who have been adequately trained to take care of our customers’ needs and preferences. They can help in making the passengers’ journey feel seamless and easy. If there are special arrangements that need to be made, then our clients can contact us through email or telephone. We have a high response rate so that our clients are not disappointed when they need our services the most. Our drivers are hired after a detailed and elaborate recruitment process to find out if they can cope with our clients’ demands. After hiring, we present them with several opportunities to learn navigation and customer service skills so that they are prepared to deal with clients and give feedback to their complaints and questions accordingly. Don't forget our Raleigh limo service rates are very competitive . 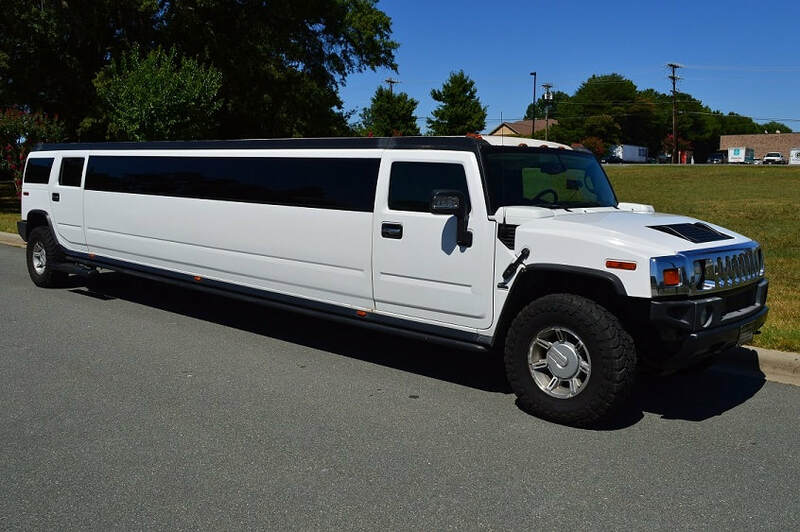 In order to hire a limousine or party bus Raleigh NC residents trust; it is important to find a dependable service to get to the required destination. We offer the most affordable limousine and party bus services in Raleigh, NC for several occasions. It can be a wedding ceremony, airport transportation RDU or a corporate limo service for a business event; our services are adjustable to many occasions. Other occasions that we can provide a service for include prom, anniversary and bachelor parties. With our extensive fleet, a party bus rental can be hired to take our customers to their desired destination. All in all our company provides our clients with the perfect limousine or party bus. We take pride in providing our clients with an exquisite vehicle service. We’re the luxury car service Raleigh NC has relied on for years. The quality of our cars and services are clearly designed according to the specific needs of our clients. Our company makes an elaborate effort to satisfy our clients and provide a high quality riding experience. 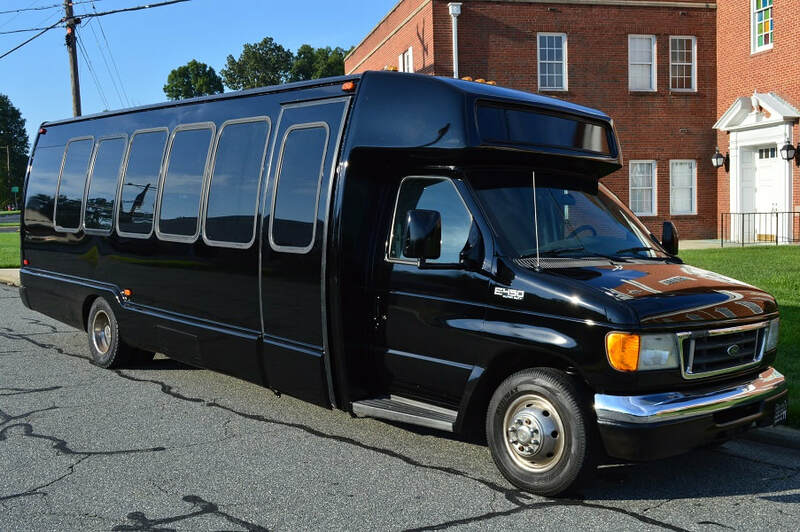 Get the best party bus & Limo Service Raleigh NC has to offer - book today!